Home / Happy Birthday, Dr. Seuss! 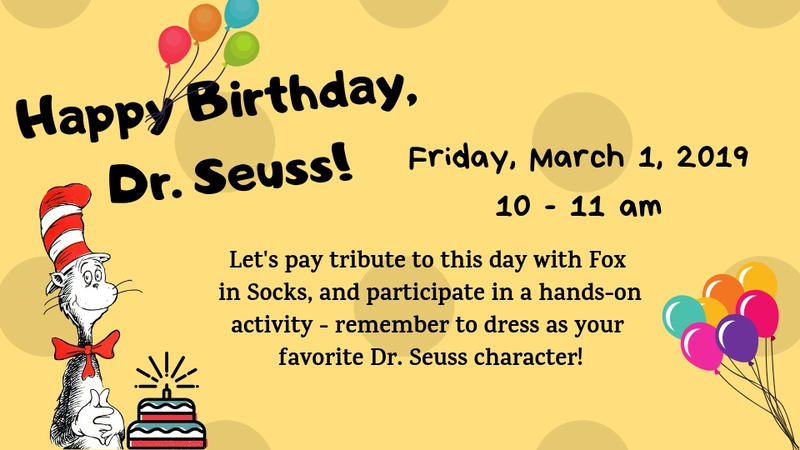 Come celebrate Dr. Seuss' Birthday with us on Friday, March 1, 2019 at 10 am by reading Fox in Socks and participating in a hands-on activity. Guests, of all ages, can dress as their favorite Dr. Seuss character! Participants must be accompanied by an adult. This program is free and open the public. For more information please call 252-331-4054.